Twelve years after the 2003 release of The Essential Bruce Springsteen, part of a series of Essential compilations by Columbia artists, the label has issued an "Updated Edition" to provide a career overview through 2015. Making room for songs from Devils & Dust, Magic, Working on a Dream, Wrecking Ball, and High Hopes isn't the only tracklisting shift; the set has been reconsidered and revised from the very beginning, trading in "Blinded For the Light" for "Growin' Up" and swapping numerous other songs along the way. 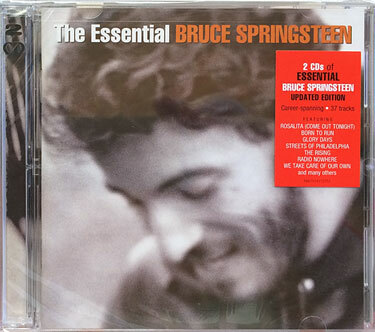 This is, "essentially," a new set and a new consideration of Springsteen's output to date. Most notably, this 2015 set drops the bonus third disc which, upon its release in 2003, gathered 12 rare and previously unreleased tracks. 17. Born in the U.S.A.